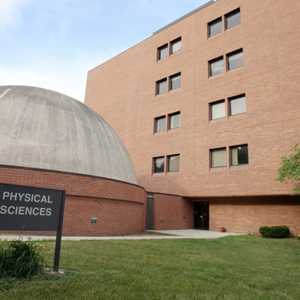 The Physical Sciences Laboratory Building features the BGSU Planetarium, photochemical sciences laboratories, classrooms and office space. 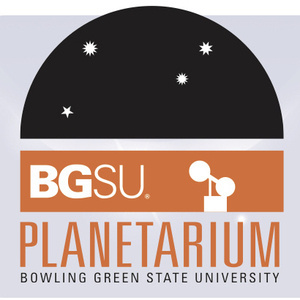 The planetarium is a 118-seat public science theater serving BGSU students year-round, with public planetarium programs open to area schools and the public from September to early May. Set under a 40-foot dome, the Minolta star projector can show the sky as it would be seen from any place on the Earth at any time, including the Sun, Moon, planets, and more than 4000 stars. The building also has an Observatory, atop the building, has a computer-operated DFM reflecting telescope for stargazing and for observational research projects. 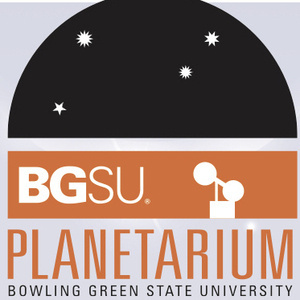 The sky deck has several portable telescopes and a .5-meter telescope used weather-permitting following the weekend planetarium shows.